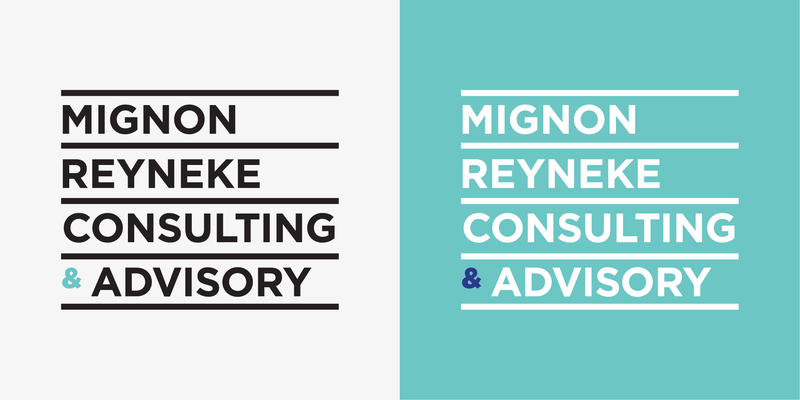 A new logo and corporate stationery was required for Mignon Reyneke Consulting & Advisory. 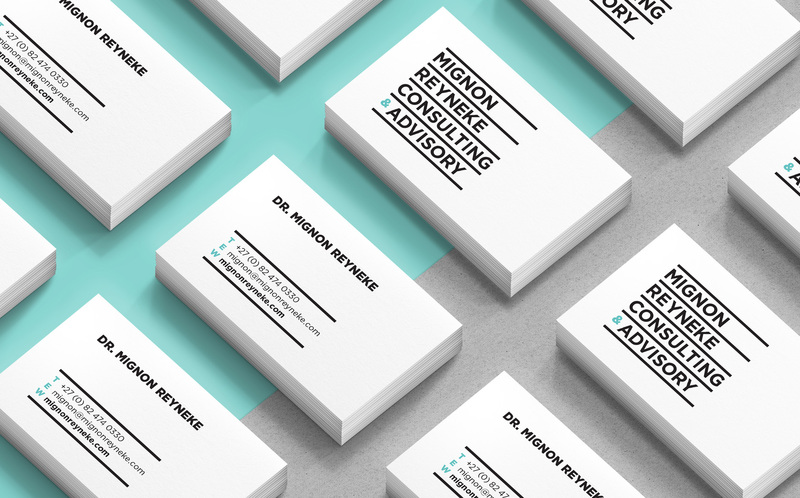 A simple wordmark was requested, which had to be both fresh and contemporary. 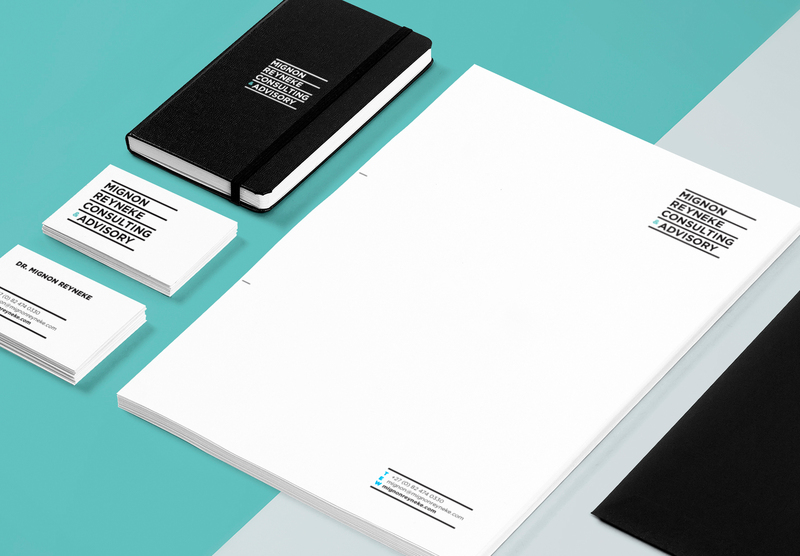 Our design solution drew inspiration from documents, graphs and text as the common thread (horizontal lines). 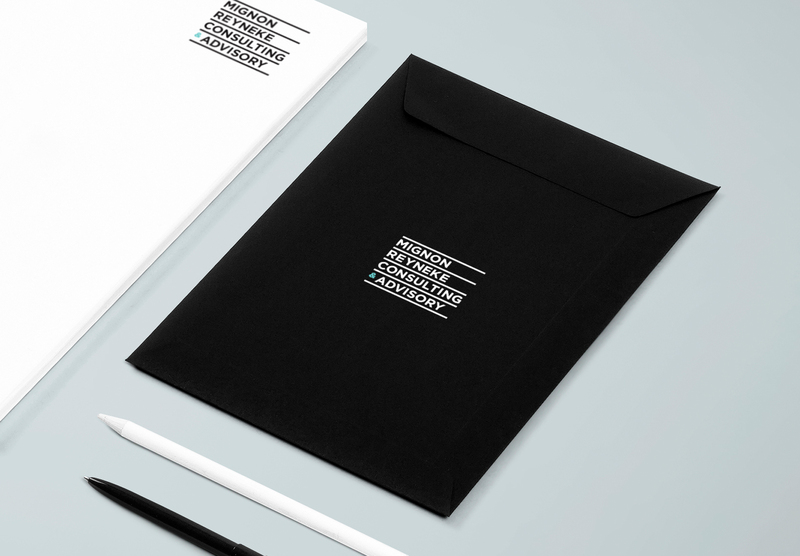 The colour palette uses bold and classic black with a pop of colour, to inject freshness into the brand and make the logo more contemporary.